Every city in the world is different. It has its own history, points of interest, its own beauty and characteristics. Also, for every person each city is different. Just one word can bring out in us a colorful unique kaleidoscope of images, memories, stories, people, souvenirs, emotions and feelings. We often come to a foreign city in our effort to cover everything with our mental or real sightseeing “to-do” list. We rush through everything, the whole process. We take pictures of these famous sights, listen to some random historical facts and numbers and do not really understand or feel the city itself. Or pretend we do. And, may be, even complain that it was not as we expected it to be, while sitting in one of those “for tourists only” restaurants reading our “cold facts” guidebook before taking “for tourists only” bus. For me this happened in Barcelona, the city I wanted to visit for a long time. I had only one day there, so taking a sightseeing hop-on-and-off bus seemed like a good idea. I rushed through everything in my effort to see the main landmarks, like Sagrada Familia, Gaudi Garden in this what turned out to be one of the biggest European cities. Yes, I have seen the most known points of interest, but somehow I still had a feeling that I did not really see anything or understand the city at all. And could I really, in just one day? or even a few? Is it possible? What exactly does it take to experience, feel and understand it? What does it take to experience the real one? What is a city? What do you think of when you hear the name of the city you just visited? When I hear a word “Rome”, different images and memories flash before my eyes. For someone it might be Vatican, Colloseum, Piazza di Spagna, Piazza Navona, or Fontana di Trevi. Basically the main points of interest, the ones almost everyone wants to visit and does. Especially if you have only a few days there. Been there, done that. So understandable! So not me anymore! 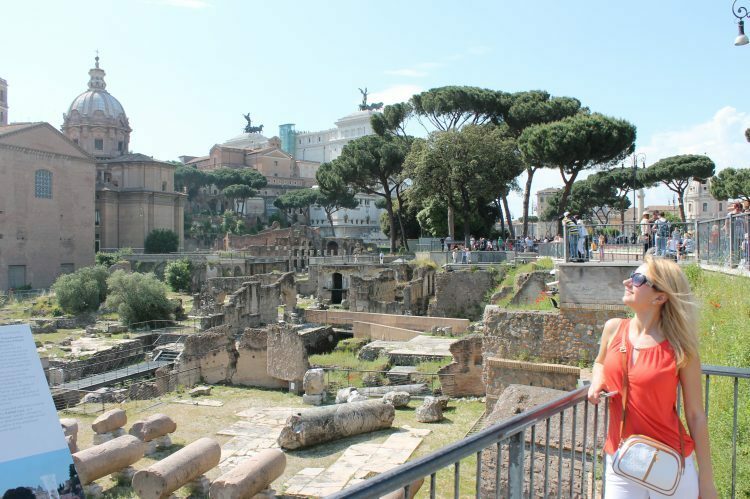 I was fortunate to live in Rome for a few months many years ago dividing my time between exploring the city and relaxing at the beach in Ostia close-by. And a few more short trips afterwards staying in different parts of the city. So for me the word “Rome” brings out multiple images, memories, places and songs at the same time. Almost all of them have very little to do with famous sights, and everything to do with my unforgettable experiences there. Every trip to Rome seems to add another memory and another favorite place on my things to-do and experience on my many, hopefully, future visits there. For this is the city I can never get tired of. A true eternal city! At least for me. I will not bore you with top places to visit in Rome or the descriptions of the famous sights, something you can find in any guidebook or travel site out there. What I would like to do is to show you a different side of Rome. A day in Rome. One of my favorite things to do in Rome is to put down the city map, go to some famous sight, travel beyond the beaten path and let the road take me to an unexpected location. Get wonderfully “lost” somewhere in a new place. I even end up finding my favorite osterias, bridges, fountains and streets this way. I don’t even remember some of their names or the story behind them (is it even necessary in order to admire something so beautiful?! ), but every time I am in Rome, the road brings me there on its own, and lets me find so much more in the process. I happened to be in Rome during the celebration of A.S. Roma football club at the Circo Massimo (the Circus Maximus) way back in 2001. It was reported that over a million supporters descended upon the ancient Circo Massimo to celebrate the victory of their team. What was going on in Rome that day! Cheering, screaming, jumping, honking, running with flags, and more screaming and cheering. Raw positive emotions! My kind of city! And the concert? This concert introduced me to Antonello Venditti, an Italian singer-songwriter famous for his many songs about Rome, his favorite city. Roma capoccia, Grazie Roma, Roma Roma Roma, and these are just to name a few. Isn’t it love?! And who can forget beautiful Sabrina Ferilli that day?! Well, I was not at the Circo Massimo per se’, but I was celebrating as well after experiencing what at first appeared as “madness” on the streets. It did rub off a little bit, quickly and surely spreading to everyone around. 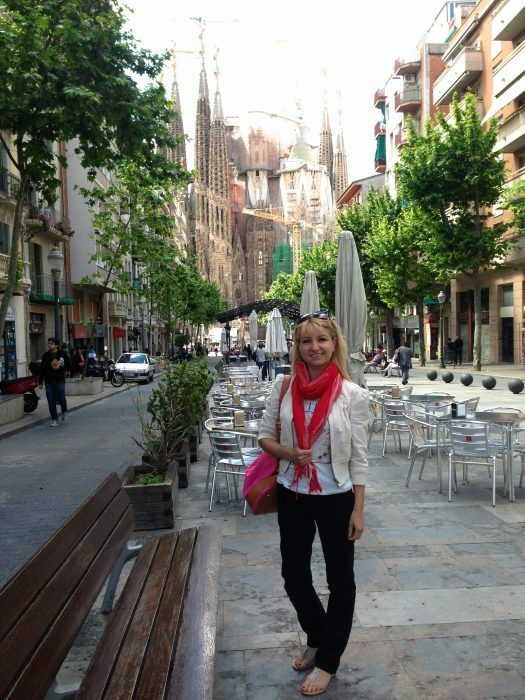 I think this was the day I was as close to understanding or feeling the city itself as I have ever been! May be, this was the day when all of our inner defenses fell in order for us to feel as one. Just as the song goes, “i nostri cuori unisoni legati un’altra volta”. Now, this is true passion! This is love! Can an experience like this be even compared to a quick stop by a famous sight on a day of hopping on-and-off tour? So next time you are in Rome, visit a few of the famous sights, but don’t forget to take some time to explore the real city. Travel beyond the beaten path, make an effort to learn a few words and expressions, chat with some locals, find that osteria where mostly locals go to, order local dishes and wine, discover something different and your own, your own secret place in a big city. The one you won’t talk about and the one you will want to experience with someone important in your life. And if you are an emotional traveler, visit the city around important events, festivals and celebrations, and you, for sure, will experience a different kind of city. An unforgettable city. An unforgettable day. A day in Rome! Have you been to Rome? What was your day like? Thank you, your support is very appreciated. There’s certainly a lot to know about this issue. I really like all the points you have made. web site is genuinely good and the visitors are genuinely sharing good thoughts. Great! I know myself by what I write about. Thanks again. This article presents clear idea in favor of the new visitors of blogging, that actually how to do blogging. Thanks, especially if this is a genuine compliment. This is one of my favorite articles also. If I have so many fans and supporters already, why isn’t more obvious and noticeable? If you want better journalism/writing/blogging, etc, you have to support it, support it with likes, shares, comments, subscriptions, etc., and I am not only referring to my site.